Normal form bisimulation is a powerful theory of program equivalence, originally developed to characterize Lévy-Longo tree equivalence and Boehm tree equivalence. It has been adapted to a range of untyped, higher-order calculi, but types have presented a difficulty. In this paper, we present an account of normal form bisimulation for types, including recursive types. We develop our theory for a continuation-passing style calculus, Jump-With-Argument (JWA), where normal form bisimilarity takes a very simple form. 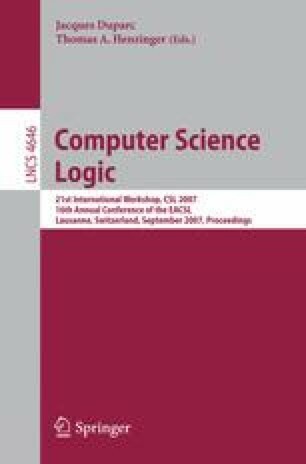 We give a novel congruence proof, based on insights from game semantics. A notable feature is the seamless treatment of eta-expansion. We demonstrate the normal form bisimulation proof principle by using it to establish a syntactic minimal invariance result and the uniqueness of the fixed point operator at each type.